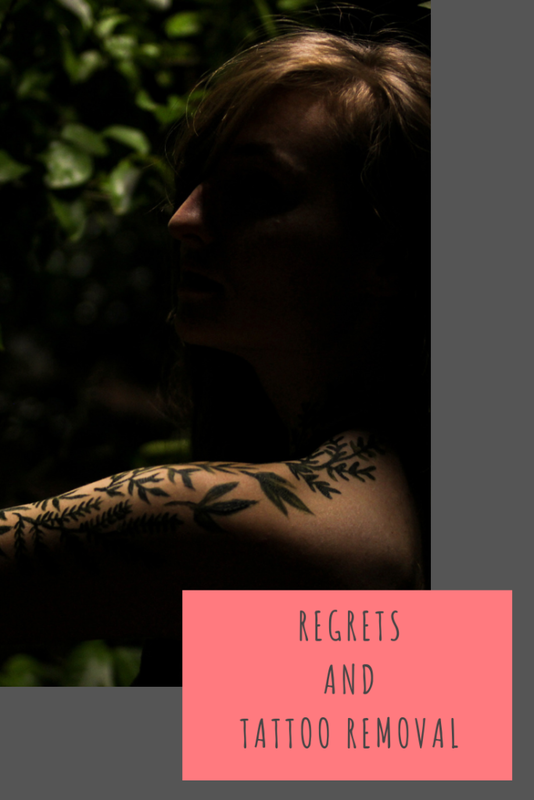 I don’t regret much in life, although there are times when I think of things that I wish I had pursued and things I wish I had done for longer . I travelled to India when I was 18 with a friend who decided to go home after 4 weeks, as she was home sick. Undeterred, I continued on my own and went to some fab places and meet some incredible people. When I returned home, I went back to my job, started uni and went back to the normal way of life. Looking back, I wished I had continued travelling straight after and taken in more of Asia. There are so many times in life that I can pinpoint ‘I made the wrong choice there’ and one thing I wish I hadn’t done was get tattoo on my back. It was one of those things that I wanted at the time and now, I just feel like mine doesn’t mean anything to me any more or reflect who I am now. If I had the money, I would definitely get it removed. I have been looking at Pulse Light Clinic and City Tattoo Removal who are part of the same company. Based in London they can offer the process with fewer treatments and better clearance. They are one of only 2 clinics in the UK using the PicoSure and PicoWay lasers whic I really like the look of after watching the procedure on their YouTube channel.They have also been featured on the BBC and Channel 5. The removal treatment is suitable for all skin types on most ink colours. With over 15 years of expertise in skincare and looking at their customer feedback, I would be confident in going to them. I have four tats. I dont know what I was thinking when I got my first one, so there is a little regret there. However, it still holds a mark in time and a memory of the time when getting it done. Maybe eventually I will cover it with another tattoo, I hear removing them hurts like hell. Oh I am the same! I started tattoo removal before I had Eva but then had the kids back to back so wasn’t able to continue. I am definitely going to go back and get it finished as I hate it! I haven’t got any tattoos as I am too worried about eventually not liking it and wanting it removed! Despite my teenage love of body piercing, I was glad I never got a tattoo. I’m far too fickle, and while piercings can be removed, tattoos are a bit more difficult. I’m glad there are options though, if needs be. I really wanted a tattoo when I was younger, but I’m so glad I never went ahead with it now as I just know I’d have eventually regretted it. It’s good to know that there are ways to get them removed if you decide you made the wrong decision further down the line!! I don’t have any tattoos but funnily enough was discussing them with my daughter this morning. I would love to see some before and after shots of the tattoo removal to see just how it works. Great that it is suitable for so many skin types. I go through phases every week with wanted a tattoo, then being too scared, then wanting one again haha. I’m so indecisive, a tattoo is not a good idea for me.